California and Car Culture are One. And luckily so ~ with an estimated 13 million automobiles roaming the streets of the Greater Los Angeles Area, you can bet you’ll find knowledgeable automobile experts at some of the best car shows in the country. 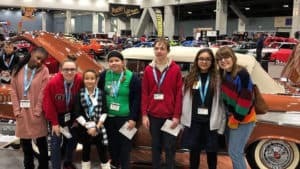 While SoCal is home to some of the most well-known car shows in California, we pay attention to several regions around the Golden State to bring you a sampling of the most popular car shows, cruises, cruise-ins and automotive events throughout the state of California. At the end of a long week, you and your ride deserve to rev up and wind down. Drive on over to Bobs of the West San Fernando Valley. Cruise in and park. Walk in and eat. Kick back and relax. Enjoy a mass gathering of awesome rides all round you! An area of the parking lot gets sectioned off specifically for classics and muscle cars, it is well-lit and attended-to throughout the evening by a volunteer group. 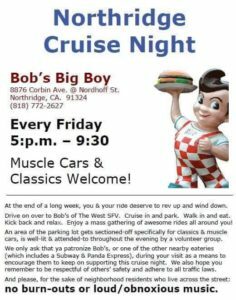 We only ask that you patronize Bob’s or one of the other nearby eateries during your visit as a means to encourage them to keep supporting this cruise night. We also hope that you remember to be respectful of others’ safety and adhere to traffic laws. 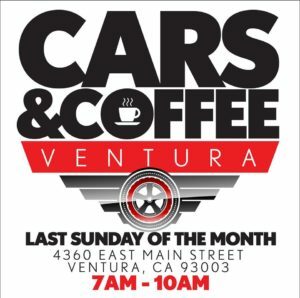 Cars & Coffee Ventura is held on the last Sunday of the month in the parking lot of The Coffee Bean & Tea Leaf, 4360 E. Main Street, Ventura, California. Hot Rods, Muscle Cars, Imports, Exotics, you name it, all cars are welcomed. Every Sunday morning from 8AM to 10AM this group meets at La Cumbre Plaza near the intersection of La Cumbre Ave and State Street for a casual get together. Our meeting spot is the parking lot area between Vons and Sears. There are no fees, registrations or obligations. 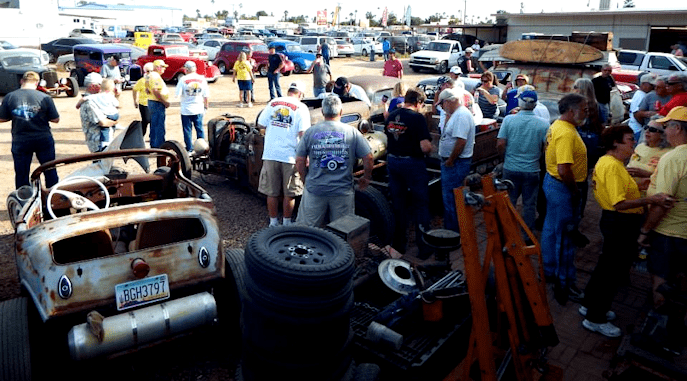 It’s just a bunch of car enthusiasts that like to get their cars out and enjoy them. Join us for THE season opener! 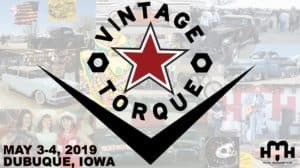 Vintage Torque Fest is a fundraiser designed to help kids with congenital heart defects.